Want to support our VR Appeal? Every little really does help. Virtual Reality (VR) is a technology accessed through a headset and headphones which immerses someone within a 3D and 360-degree video to give them a sense of being physically present in that environment. For example, through VR someone could experience diving in the Great Barrier Reef or relaxing on a tropical beach. The latest trials of virtual reality within a healthcare setting have shown an improvement in the quality of life for termally ill patients by helping ease their anxiety, breathlessness, fatigue and even reducing pain. The latest trials of virtual reality within a healthcare setting have shown a 56% reduction in anxiety and a 50% reduction in pain for patients, before and after their virtual reality experience! If we can help reduce our patients pain without increasing their medication dosages, alleviate some of their anxiety by providing an opportunity to escape from their worries and concerns, or reduce their breathlessness or fatigue by instilling a sense of calm, that would be an incredible way to improve their quality of life. Through our Immerse Your Senses Appeal we are aiming to raise enough money to introduce a VR system at each of our hospices in Ashford, Canterbury and Thanet. 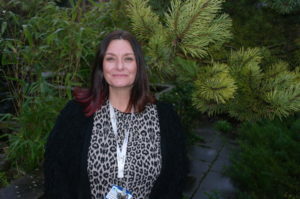 The system can be used across all of our settings, in our Therapy Centres, our in-patient units and even in people’s homes, which could benefit all of our patients. Why is this VR system so special? What makes this VR system particularly special is that it will include its own camera so we can record and personalises the experiences we offer to our patients, whether that's a local place they are particularly fond of, or a special occasion they're unable to attend. In this way, someone who is used to walking their dog along a beach but hasn't been able to for a while, could once again experience this through virtual reality at Pilgrims. Due to the simplicity of the system we would even be able to train our patients' families to record and deliver these magical moments for their loved ones. This sort of bespoke experience would enable our patients to escape the boundaries of their illness and enjoy treasured moments once again. What is included in a VR system? 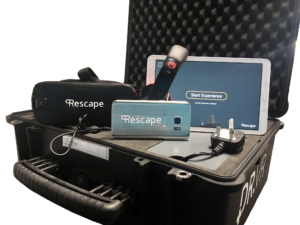 We are looking to purchase the DR.VR+ systems from Rescape Innovation. These cost £2,500 a year, so to cover all three sites for two years we need to raise a total of £15,000. As always, we wouldn’t be able to do this without your amazing support! Donations of any size really will make a huge difference. To find out more about our Immerse Your Senses Appeal, please call 01227 782 062. We are here to help people with incurable illness to live better in every moment. Read more about the range of support we offer on our wards.